Financing is often the biggest hurdle for second-home buyers and the transaction element of which they are least sure. Here is a quick breakdown of some basics, so that you can help educate your clients. If a second home’s rental income is needed in order to qualify the buyer for a loan, the property and the loan will fall into the investment category. As such, lenders will factor in anticipated vacancies, rental income, expenses, and the mortgage payment when determining how large a loan can be approved. Investment loans generally carry higher interest rates and less attractive terms than vacation home loans because they are considered higher risk. According to the 2016 edition of NAR’s Investment and Vacation Home Buyers Survey, second-home purchases in 2015 were financed according to the breakdown in the graph below. This annual survey offers a wealth of information for those who serve the second-home market, including information about purchase prices, property and financing characteristics, buyer motivations and expectations, and short-term rentals. It is free to members of NAR. When the property is located in another area or state, it may be best to seek mortgage financing through local lenders in that area because their loan officers will know the local market. Buyers might look to a local branch of their home bank for financing. Local lenders may be more attuned to approving mortgage loans because they are familiar with the area, developments, and properties. 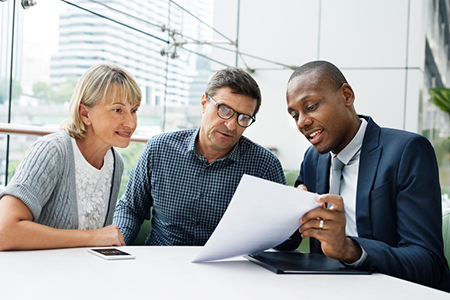 You can help buyers by sharing knowledge of local lenders you are familiar with, and examples of financing arrangements you have seen in the past. If a buyer cannot meet down payment requirements, but can afford payments, seller financing may offer a solution. One strategy to consider is a combination of a 75 percent first mortgage, a 10 percent down payment, and seller carry-back financing of 15 percent. This strategy is allowed by the secondary mortgage market, which purchases second-home loans, and may enable a buyer to avoid private mortgage insurance (PMI) because the first mortgage is less than 80 percent. A private mortgage made by a relative or friend and secured by the property is another possible strategy; an attorney or accountant should handle formalization of this type of agreement. Another strategy is a second mortgage on an existing primary residence, although this may be a risky move if the first mortgage is not paid off. On the other hand, if the buyer is able to qualify for the loan and property is appreciating in value, the lender may feel comfortable making the loan. If the borrower cannot sustain the loan payments, one of the properties can be sold and the proceeds can be used to pay off the balance on the second mortgage. A home equity loan on a primary residence to finance some or all of the second-home purchase is another option. Since home equity loans tend to be a point or two higher in interest rates, the buyers could end up paying more than if they had obtained a mortgage for the entire amount. For high-income or high-net worth buyers, a home equity line of credit (HELOC) may be the easiest and quickest type of financing to obtain. A line of credit usually has a lower interest rate than a second mortgage and a quicker approval process. Reacting to losses sustained during the wave of foreclosures resulting from the subprime mortgage market meltdown, FHA—along with Fannie Mae and Freddie Mac (also known as government-sponsored entities, or GSEs)—tightened lending standards for condo loans across the board. In short, these lenders will want to see a financially sound condo development with a high percentage of owner occupancy and low percentage of delinquency on fees. Furthermore, FHA loans are not available for vacation and second homes and investors. Apart from very narrow exceptions, outlined here, the situation is the same for VA loans. Local lenders will be up to date on which condo developments in the market area hold GSE approval for investment and second-home purchases. For more education about financing for the second-home and resort market, check out this month’s featured online course at the Center for REALTOR® Development, Home Sweet (Second) Home: Vacation, Investment, Luxury Properties, which is the educational requirement for NAR’s Resort and Second-Home Property Specialist (RSPS) certification.